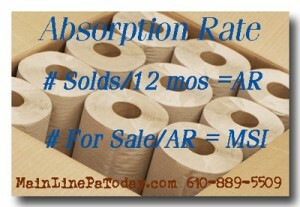 The Main Line Pa Real Estate Absorption Rate Report comparison February 2008 to February 2009. Comparing our four Lower Main Line Pa area Townships (Radnor, Haverford, Lower Merion and Upper Merion) for the Months Supply of Inventory, Days On Market, Residual Inventory (backlog) and New Listings On Market. As I was preparing this Absorption Rate Report, I saw a tick up in the Median Listing price for some lower Main Line Pa Townships. 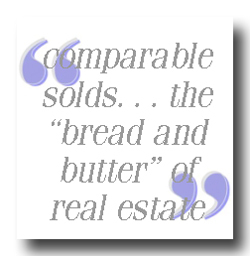 Comparable sold properties are the “bread and butter” of successful buying and selling homes in Chester County and the Main Line Pa area, or anywhere else. Get it wrong and your real estate bread is likely to wind up butter side down! Why do Realtors® talk about Comps, Comparables, House Values, Comparative Market Analysis, CMA’s? What the heck is a Comparable anyway? How long has this home been on the market? That’s a question every Chester County Main Line Pa home buyer likes to ask. Good news for Downingtown home sellers is that DOM has actually dropped -10% from 78 Days On Market to 70 Days On Market for Downingtown 19335 homes under contract. A nice St Patricks Day good luck sign for the Downingtown Spring real estate market. The Downingtown Real Estate Months Supply of Inventory, MSI (represented by the broken line in our graph) is up +67% from 6.2 MSI in February of 2008 to 10.4 MSI in February of 2009. However the direction is down from a peak in November/December 2008 as you can see in this graph of the Average Days On The Market for Downingtown homes Under Contract. 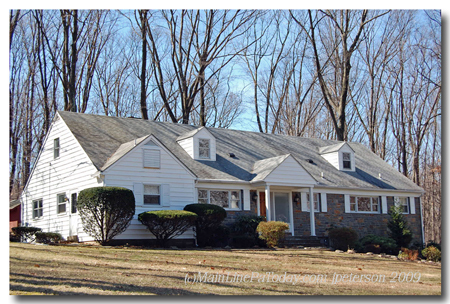 Comparing Downingtown homes for sale, Downingtown Pa homes under contract, Downingtown Pa homes sold information to February of 2008 shows a healthy real estate market – Downingtown Homes Median Under Contract Prices up +8%. The actual Downingtown Homes Sold Price comparison between February of 2009 to February of 2008 remained level but the increase in the Under Contract Price indicates a good upward swing for the Downingtown homes real estate market. Our Malvern Pa Real Estate Market Report is a snapshot of real estate activity in Malvern Chester County Pennsylvania for zip code 19355 comparing February 2008 to February 2009. We see a real estate market that is moving to an upswing. The Graph depicts Median Malvern Homes Sold Prices (green), Malvern Homes Under Contract Prices (blue) and Malvern Homes For Sale Prices (red). As for most of our markets, the story is in the Number of transactions. The Number of Malvern Homes For Sale is down 19% from 223 homes for sale in February of 2008 to 181 homes for sale in Malvern in February of 2009. The Number of Malvern Homes Under Contract is down 57% from 28 homes for sale in Malvern in February 2008 to 12 homes for sale in February of 2009. Also, weather wise this was not a good February for buying activity as it was impacted by a few snow storms. Spring and the official Vernal Equinox , arrives March 20th 2009, and not a minute too soon, in my opinion, and yours too I imagine. These charming Johnny Jump Ups can be found along a path as one of our earliest signs of Spring together with Crocuses and Forsythia. Even in December if it’s warm, but not this year. 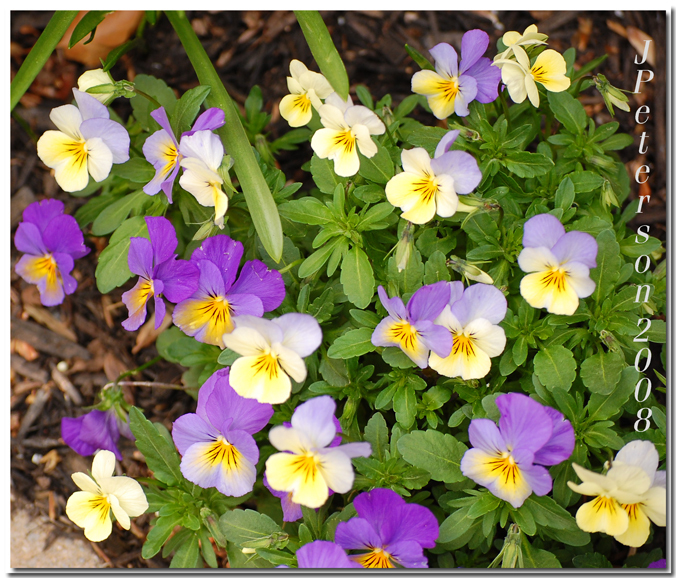 If planted in a protected area, they’ll often reseed themselves. A visit to the Philadelphia Museum of Art is a great way to begin your Spring walking. Cezanne and Beyond – A Century of Great Artists Philadelphia Museum of Art – You will see more Cezanne and the artists Cezanne influenced, at the Philadelphia Museum of Art than if you went to Paris up to May 17th. This is an outstanding opportunity. Adults $14, Seniors $12, Children 12 and under Free. *Birds chirping, a warm sunny day, Spring senses stirred and I begin to hear the call of the countryside. Chester County Pennsylvania Countryside to be specific. No one does a day in the country better than Chester County Pennsylvania. Our Comparison between February 2008 and February 2009 shows a real estate market where the Median Sold Price is up 31% (from $344,000 to $450,000) and the Median For Sale Price is down 8% in a comparison of February of this year to last year (from $490,000 to $449,450) as shown in this graph with green representing the median sold price in Tredyffrin, red being median homes for sale price and blue being median homes under contract price. On the Supply and Demand Side of our Tredyffrin Real Estate Market Report the number of Homes For Sale in Tredyffrin is down 11% (from 233 to 208). Tredyffrin Homes Under Contract in February of 2009 compared to February of 2008 is down 50% (from 38 to 19). The number of homes sold in Tredyffrin in February of 2009 as compared to February of 2008 is down 61% (from 18 to 7). and the number of Expired Listings is up 8% compared to February of 2008 (from 25 to 27). Tredyffrin Township Months Supply of Inventory in February of 2009 is up 91% from February of 2008 (from 4.5 months to 8.5 MSI) and the Tredyffrin Real Estate Market Days On Market is up 125% from February 2008 (from 42 DOM to 95 DOM). With the gray bars on this graph representing the MSI and the broken blue line representing the DOM for the period of February 2008 to February 2009. The bright spot for the first of the year real estate picture in Tredyffrin is that the MSI is down from January of this year. The Months Supply of Inventory in January 2009 was 15.1 Months Supply of Inventory and has dropped to 8.5 Months Supply of Inventory in February 2009. However the Days on Market has increased from 85 DOM in January 2009 to 95 DOM in February 2009.